The doctor and her assistants are incredible!! Love going here. It’s been awhile. I definitely plan not to stay away solong next time!! Efficient professional service informative and extremely knowledgeable. Two thumbs up. The doctor and her assistants are incredible!! Love going here. It’s been awhile. I definitely plan not to stay away so long next time!! Efficient professional service informativeand extremely knowledgeable. Two thumbs up. ****ATTN: PLEASE choose your appointment reason carefully. If you would like a cleaning appointment you will need to choose an appointment with the hygienist. ONLY choose the option of a dental consult if you ONLY want to talk with the doctor about a specific concern. ***We REQUIRE 24hours notice for all canceled or rescheduled appointments without penalty. Thank you. Dr. Nair grew up in Cape Girardeau, Missouri. After graduating from Cape Central High school, she went on to attain her B.S. in Biology and B.S.B.A in Management from Southeast Missouri State University. In 2002, she graduated from Temple University School of Dentistry. She completed her General Practice residency from St. Joseph Hospital and moved to West Chester. She practiced at several offices in PA and DE, before starting Star Care Dental in 2009 in Glen Mills, Pennsylvania. Dr. Nair is committed to providing her patients with the very best treatment. She takes over 200 hours of continuing education courses each year and keeps up with the latest technology to provide her patients with the utmost care. 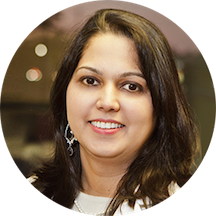 Dr Nair has been consistently voted as a Top Dentist in her area by her peers according to the Mainline magazine. She is a member of the American Dental Association, Pennsylvania Dental Association, Master, Academy of General Dentistry, Pennsylvania Academy of General Dentistry, Chester-Delaware Dental Society and Fellow, International Congress of Oral Implantologists (ICOI). Dr. Nair volunteers her time for Give Kids a smile through the local dental society and the free children's clinic at St. Joseph Hospital. Dr. Nair is happily married with two kids. Her husband is an attorney. When she is away from her patients, she loves spending time with her kids, painting, swimming and reading. I am very pleased with the appointment. Very nice professional staff. I was extremely pleased with the facility as well as the staff. Dr. Nair is very knowledgeable and courteous. She was very thorough when explaining how the dental visit would be conducted. The entire staff are true professionals and have wonderfulpersonalities. It was a great experience at the dentist office and I would highly recommend Starcare Dental to anyone looking for a dentist. Dr. Nair and her staff are amazing! My family always has a great experience, they go above and beyond for their patients. My visit was fantastic if I can us that word the describe how I was treated. All the employees were exceptionally helpful. I really appreciate Dr. Nair and, Hanna and Melissa for taking such good care of me. I would recommendthis office to everyone who's looking for a great dentist. Thank you everyone! Dr Nair and staff were awesome! The first thing my son said when he was done was how nice everyone was. I am very pleased with our experience and look forward to using them again. On behalf of my mom, the appointment was booked through ZocDoc. It took time to research dentists using her dental coverage, but it was worth the effort. The entire staff has been attentive and patient from the beginning, as I amhandling my mom's medical affairs from out of state. From submitting the new patient forms, confirming her copay and/or appointments and emailing correspondence with bills, this office does exceptional customer service. My mother went to her appointment yesterday and left feeling at ease that Dr. Nair is the perfect dentist. You will not be disappointed, speaking for my dad and as her caregiver, they will take care of you. Thanks, Alexis, Hanna and Dr. Nair! Jackie C. and Edna S.
Very pleasant office visit. Everyone was friendly and on time. I had to have a root canal and I had no pain from the procedure. Wonderful bedside manner! Explained everything clearly! The office staff was friendly. They all made you feel you were an important patient not just another number! Dr. Nair was very friendly. She definitely brings a personal touch to what she does. Her staff were also understanding and helpful. This was, barred none, the best experience I have EVER had with any medical professional. The office staff, the dental hygienist (Sue) and Dr. Nair were all very good at making me feel comfortable and relaxed, despite my anxiety about thevisit. The consultation and exam were thorough and the findings were reviewed in depth with me so that we could make a plan for treatment which would make it possible for all of my concerns to be addressed with no surprises. I was made to feel as though I would be an active participant in my future care. A follow up appointment was easily scheduled so that I could quickly begin treatment of the most pressing issues. In fact, an appointment for later the same day was even offered! I can not even begin to express the relief I feel. I would HIGHLY recommend this dentist to anyone! I am one of those high anxiety dental patients and everyone made me feel so at ease and even eager to get the treatment I need right away when normally I avoid it at all costs. I definitely recommend Dr Nairand her office. I even got home from my appointment and told my husband he needs to go there asap! I still have anxiety about my future treatment but I have confidence that they will make it as painless as possible. Highly highly recommend!! This was a very nice facility. I plan on making appointments for the rest of my family!! Super nice people, very clean facility, using the latest equipment and they also do oral cancer screenings. It was great and she have me peace of mind. I was very pleased with how friendly Dr. Nair and her staff was I would def. come back again. However I did have one issue I asked for my prescription to be called in and when I got to the pharmacythey said there was no prescription called in under my name. I was very upset because I am in so much pain And I was really looking forward to takin something to soothe the swelling and pain. Although not being able to pick up my prescription to day was a huge deal to me I would still give Dr. Nair's office another try. Absolutely the best experience in a dentist office I've ever had. I couldn't not have asked for better. I recently chose Dr. Nair based upon the reviews on ZocDoc and was very happy with my visit. The staff was very polite and accommodating, the hygienist was excellent, and Dr. Nair was extremely professional. The office had state of the art technology and was very clean. An absolute wonderful experience! Perfect for my fearful 12 year old. Great dentist, very nice people. Strongly recommend. Dr. Nair and her staff were great. This was my first time at Dr. Nair's office. I was extremely happy with the whole experience. A tooth ache brought me to Star Dental were Dr. Nair took care of me right away.As part of my follow up I scheduled a cleaning and I am glad I did. My teeth never felt that clean leaving my now former dentists office. Wonderful experience with Dr. Nair. I was very nervous and had not been to the dentist in several years. Everything went incredibly well and I cant wait to go back. I had a bad tooth acke over the week end and left a message which was answered immediately and a appointment was scheduled first thing (0800) monding morning and fixed my problem tooth. I really hate going to the dentist so I had a lot of reservations about going to my appointment. Everyone at the StarCare Dental office was very professional, put me at ease, and made me feel very comfortable. The Dr. wasthorough in explaining what was going on with my teeth, this gave me insight as to what was going on and what to look for in the future. Dr. Nair gave me helpful tips and made me feel like I was included in the process by going over things in detail with me. I highly recommend this dental office. Dr. Nair is extremely professional and very warm. She restored my chipped tooth to its original beauty! I can smile again. Both the staff and Dr. Nair were very polite, personable, and provided appropriate patient education and support. There was a very short wait time to be seen. Dr. Nair and her staff were fantastic! Dr. Nair was professional, courteous and reassuring. She diagnosed the problem almost immediately, subsequently providing a decisive plan for treatment and maintenance. I highly recommend Dr. Nair to anyone seeking a quality dentist.